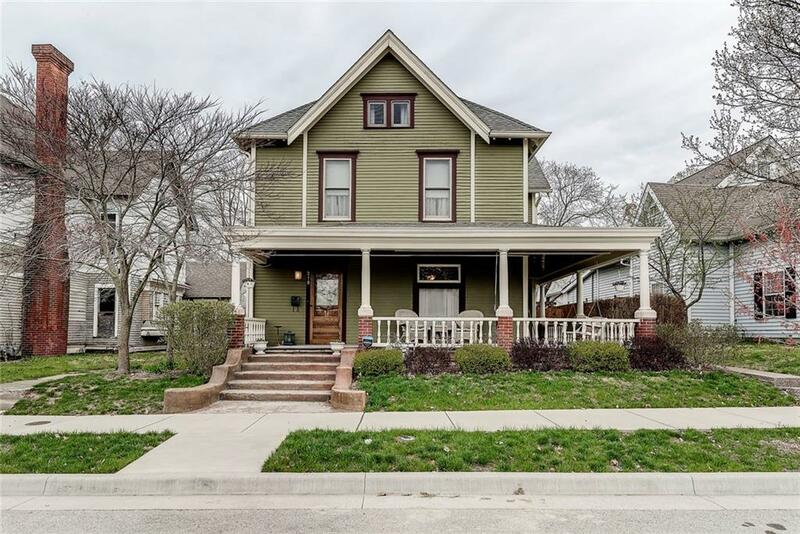 Beautifully Restored 4 BR 2.5 BA home with exquisite character located in historic district of downtown. Classic charm & quality w/ modern conveniences. Quality everywhere you look. Ornate woodwork and trim, pocket doors, 9 ft ceilings. Two Stair cases. Quarter sawn oak paneling in DR. Butlers Pantry, Remodeled Kitchen w/granite and cream Cabinets. Finished attic space to convert to the master with full bath. Remodeled Butlers Kitchen area. Remodeled 1/2 BA on Main and Full BA on 2nd Floor and Full BA on 3rd Level. Added new stained glass inserts. Original wood floors. Formal LR w/ chair rail paneling & fireplace. Half Wrapped Porch and New Above Ground Pool with Pergola for entertaining. You will love this blast from the past! Must See!